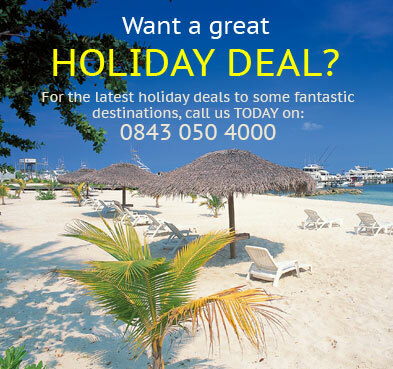 Find fantastic holiday deals to Cyprus. Discover incredible offers on Cyprus holiday packages and grab the best deals today with Instant Breaks. Cyprus, officially the Republic of Cyprus, is an island country in the Eastern Mediterranean Sea. Cyprus is the third largest and third most populous island in the Mediterranean, and a member state of the European Union. It is located east of Greece, south of Turkey, west of Syria and Lebanon, northwest of Israel and the Gaza Strip, and north of Egypt. Cyprus is also a world-famous beach and winter sun vacation destination, and many visitors spend the duration of their holidays in blissful relaxation on the Mediterraneans golden shores. Cyprus enjoys a Mediterranean climate, with abundant sunshine year round. Long, dry summers and mild winters are separated by short autumn and spring seasons. Summer is a time of high temperatures with cloudless skies, but the sea breeze creates a pleasant atmosphere in the coastal areas. Winters are mild, with some rain and snow on the Troodos Mountains. +2hrs (GMT+3 between the last Sunday in March and the last Sunday in October). Greek, English, German and French. British nationals must have a passport valid upon arrival. For holders of passports endorsed British Citizen, no visa is required. International flights arrive at either Larnaca International Airport, three miles (5km) outside of Larnaca, or Paphos International Airport, nine miles (15km) east of Paphos. The flight time from London to Cyprus is approximately 4 hours. For the latest update-to-date Cyprus travel advice, click here. We have hand selected some great accommodation for you when booking your holiday to cyprus. For more information or to book, give us a call TODAY on: 020 8281 2205. Book your Cyprus holiday with confidence TODAY & SAVE £££'s!